Willem (Noord-Scharwoude, Netherlands) on 11 October 2018 in Plant & Nature and Portfolio. Do not eat please... Beautiful but dangerous! An attractive but dangerous color ! Beautiful but not good ! nice details and dof ! the most beautiful mushrooms are not ... edible. always an attractive motive... a great photo of this elegant 'Fliegenpilz'! 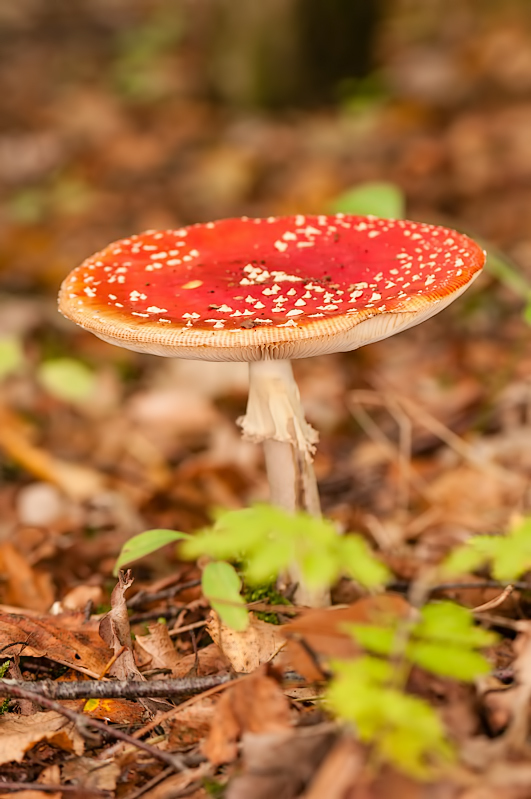 Fly agaric . . ' psychoactive' comes to my muddled mind. such beautiful focus, bokeh & colors! Mooi vastgelegd, paddenstoel in leuk contrast met de groene bladeren. Where are the dancing fairies?! @B. Thomas: They already went to another mushroom, there was a party !! It is a photograph that marks very well the current season, the autumn. Mooie dieprode kleur van de hoed.